We´ve finished the Steamworks implementation and most of the features that we wanted to have for Pantropy, such as allowing you to host your own dedicated server, a lobby that lists all these servers and config options for server admins etc. Julian has also finished all features that are related to the base bulding system. Build, repair, demolish, upgrade and reinforce. I don´t think I have to go too much into detail since most is selfexplanatory. 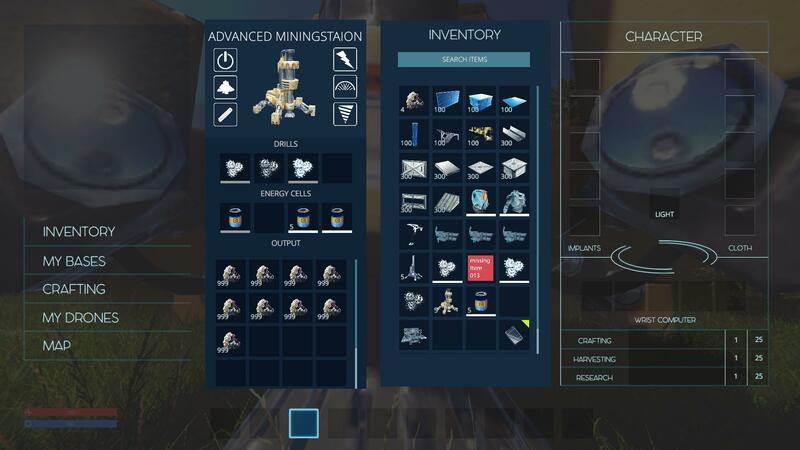 However – YES you´ll get 50% of your materials back when you demolish a base part. 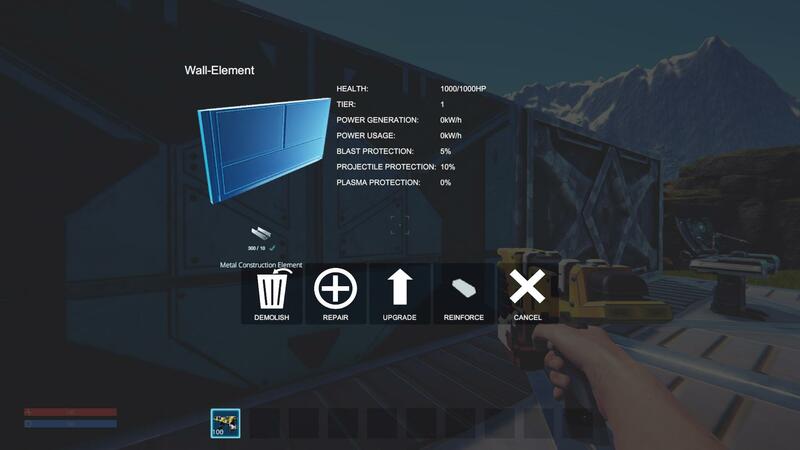 Upgrade changes the material the asset is made of to the next building tier. Reinforce upgrades HP and all other stats. This will allow you to build nice bases and have strong walls instead of building honeycomb style block bases just to make raiding less easy. 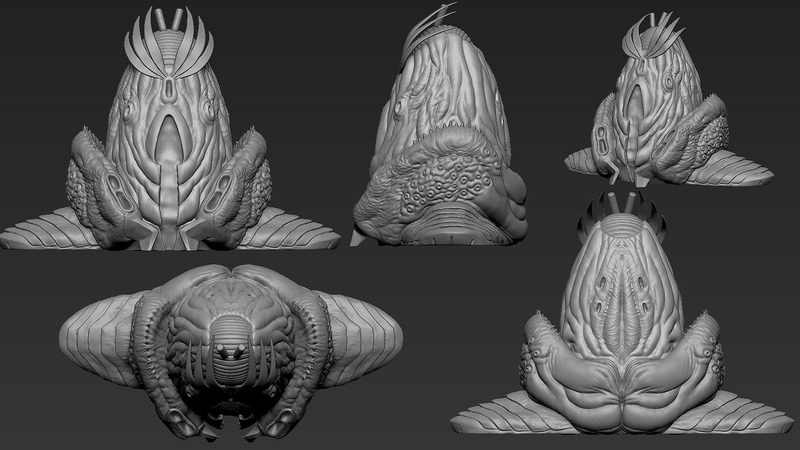 We´ve also re-implemented all the base assets and activated pooling for all of them. Julian also managed to import the new, round base parts. 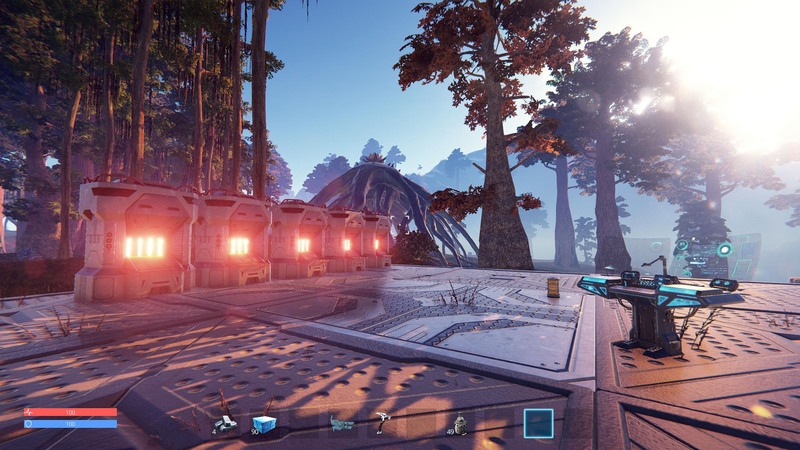 Here´s a gif that shows how fast bases are being loaded now! This is a huge improvement especially when you´ve been part of the demo and remember how slow this was back then. Research is also done and polished. 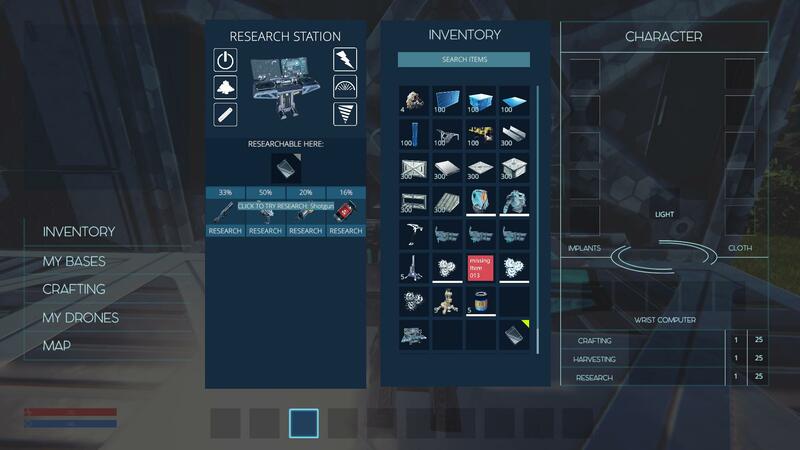 Simply drop researchable items into the research station and research one of the 4 possible technologies/recipes. The higher your research level, the easier it gets. These work now too and will reduce the grind. The material output depends on the type or minig head. Just put a whole lot of energy cells into it and it´s ready to go. Since we´ve changed to a fully authoritative multiplayer, we also had to change the whole bullet system. This is almost perfect now and will just need a bit of polishing. 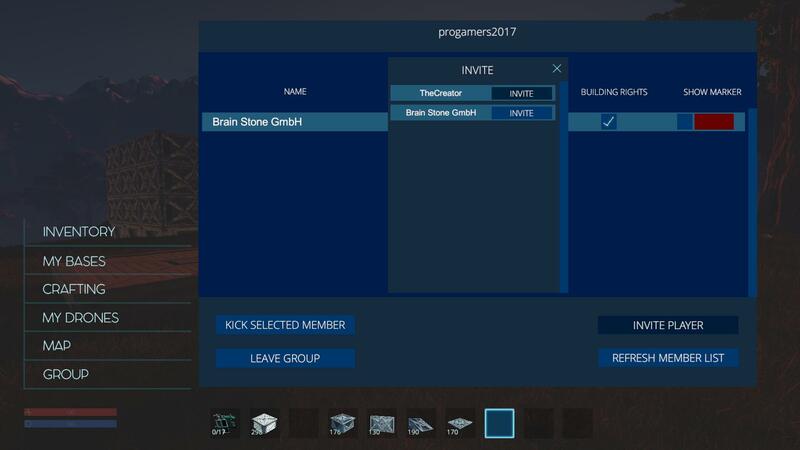 We have finished the group feature which allows you to create or join a group, set building rights or locate your friends with a fancy marker. 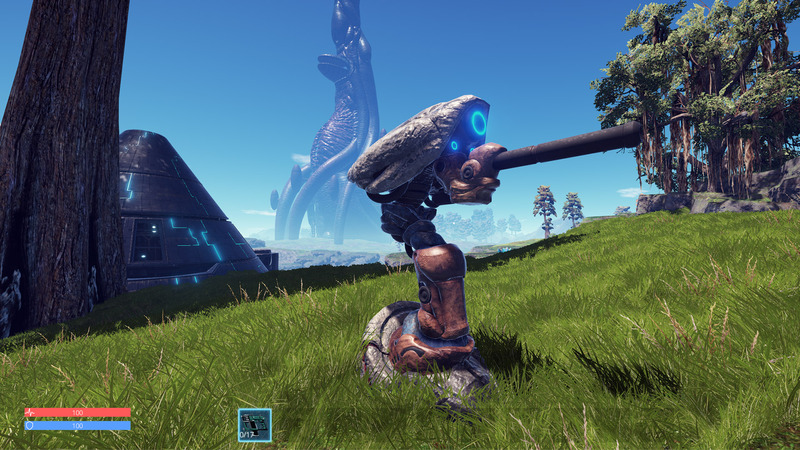 We changed the way how land claim/building rights work and the group feature is necessary to allow your friend to help building your base or demolish anything. We did this from scratch too. 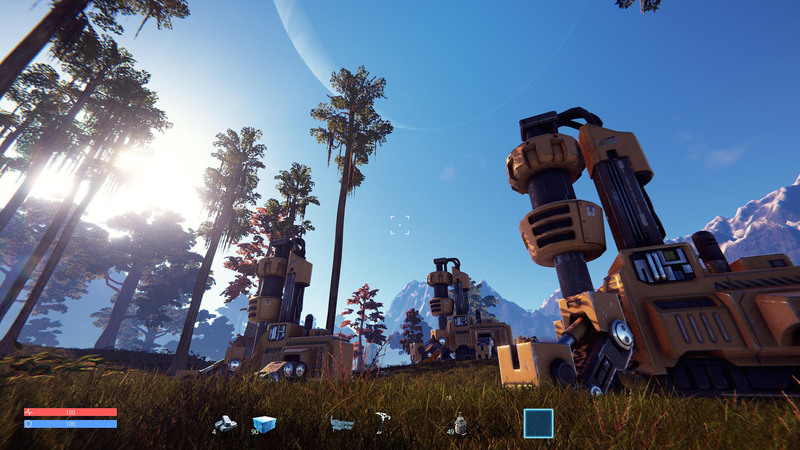 As you might remember from the demo, sound or music was stuttering or not working at all once in a while.We have a more intelligent system now and also implemented audio zones for ambient sounds – such as wind, shore, forest, desert, plains etc. creature screams and other random sounds. The bullets got flyby sounds and proper impact sfx for the different surfaces. We´ve decided to get some more help and hired two more coders in order to polish the grass system and work on the new player controller. I know grass sound like something simple but we´re not using the standard unity grass. We´ve our own system and it took quite a while to get it right. But it still needs more polishing. The character controller is a different story. Changing to authoritative multiplayer requires a ton of changes and the player contorller is one of the most important parts and it´s easy to screw this up. But I am sure Callum, who´s a real expert when it comes to this, will make a good job. We´ve finished a whole lot of new content during the past weeks. 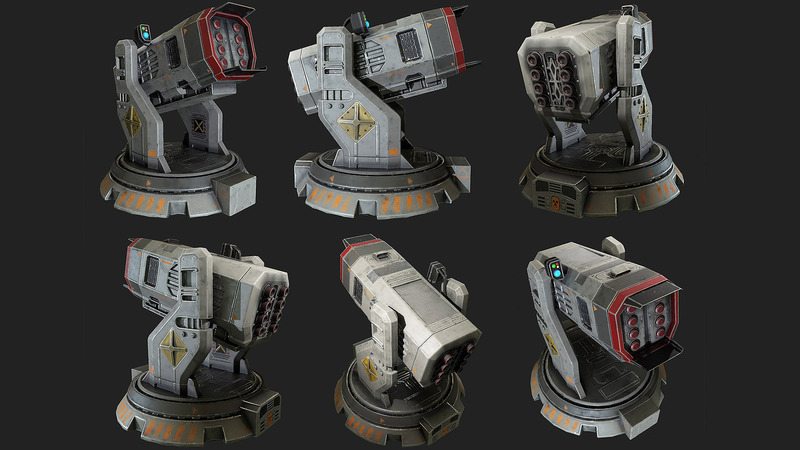 Anjar has finished the plasma and AA turret. These are craftable and can be placed on your base. 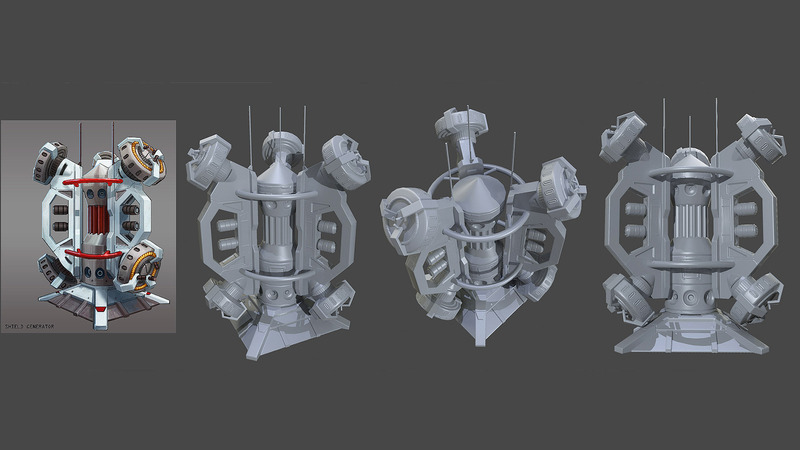 He has also started on the enemy faction outpost. Alen has started on a new set of rocks for Pantropy. 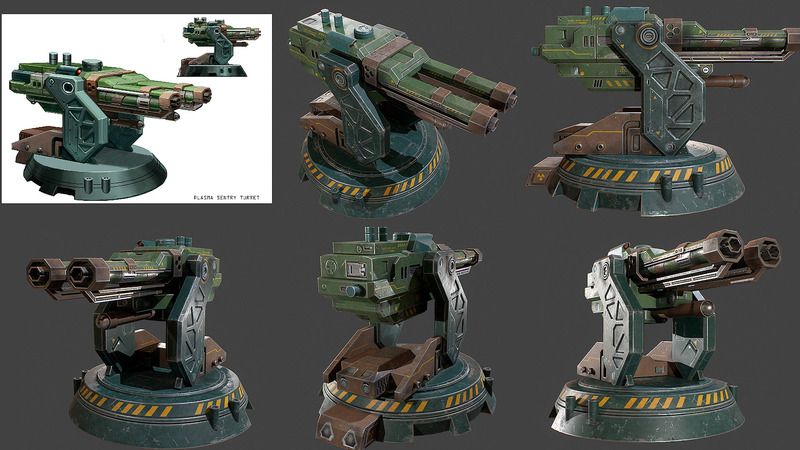 These will replace the asset store models which we´ve been using so far. And I like the new models a lot! Can´t wait to see them ingame. Osman is busy creating LODs for the new building assets. Sascha has finished our company website and is now working on improving the playpantropy website. It´s too slow and not really to the point. It will get a complete overhaul + we´ll move to a CDN in order to boost the performance. I´ve been evaluating a new terrain shading system which we might end up using for the alpha map. 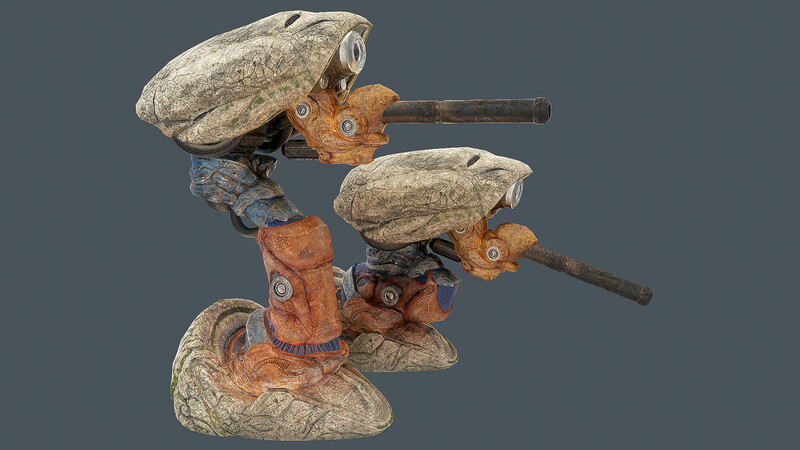 It has more features than our current shader set and would also allow 16 textures instead of 8. But I have to make more tests. I´ve also played around with a volumetric cloud system that will allow you to fly through and above the clouds. They also look much better than our previous clouds. We´re also preparing for the upcoming devcom/gamescom. Two of us including me will travel to cologne from the 20th-25th of August. Thanks for reading again! We love you guys! 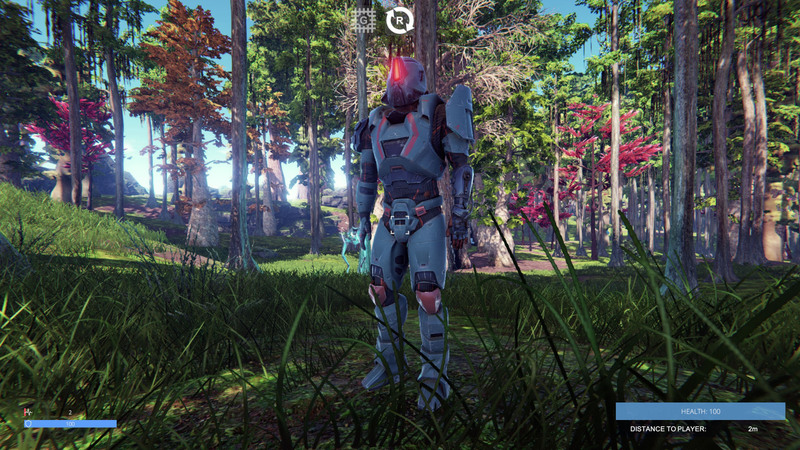 Sign up for the newsletter and get a notification once we launch the alpha! Please tell me that this game will be available in 3 days lol. This game is awesome so get ur PC's ready all and get into this game I know u will love me after lol. Keep up the good work guys and gals and make this happen.